I received an email from LapDanceTechGear.com that they have branch at Trinoma, specifically at the First Floor of the Mindanao Avenue Wing, near National Bookstore. 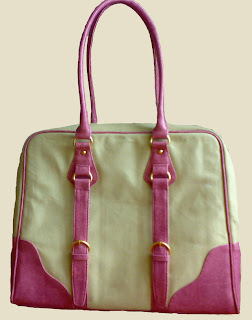 I visit the site and this Caren style that comes in limited edition pink is my favorite! Its great that finally there's a local store that offers fab laptop bags. This particular bag is actually made from Manmade Calf / Manmade Crocodile Leather combination but the selling point for me is it was designed like a ladies Tote Bag. Its not like my other bags that are screaming "hey I brought a laptop with me!" It costs P2,595.00 so I have to save up for this =( And another problem is it only comes in 12 - 13 in. I have a 14 inch ASUS. I still have to check out the product at Trinoma and ask around.